Your love story continues, which is exactly why a "TAKETWO" of your wedding vows is in order! 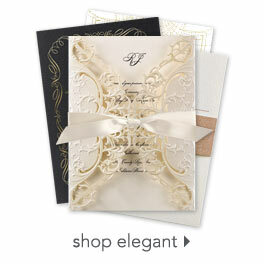 The movie-inspired design of this response card adds a fun twist to your celebration. "TAKE TWO" and your wording are printed in your choice of colors and fonts. Includes envelopes.